If you are going to discuss Steinbeck and his view of America by using what he said about it in “Travels With Charley,” you better be careful. For one thing, one giant thing, the book is highly fictionalized. For another, he was BS-ing most of the time, trying to pad “Charley” with enough words to constitute a book because his trip was such a failure. As I wrote/proved/exposed, at tedious length, in my Amazon ebook “Dogging Steinbeck,” “Charley” is a dishonest work that was passed off by his publisher Viking Press as a true account of Steinbeck’s trip. It wasn’t even close. As for mobile homes, Steinbeck was so out of touch with the USA (one reason he wanted to make the road trip in 1960) that he didn’t know the mobile home culture was at least 10 years old in 1960. 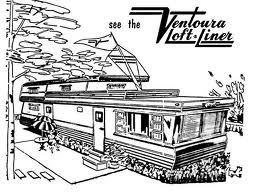 About 4 million people lived in mobile homes by 1960 and there must have been two dozen magazines devoted to that lifestyle. At the time Steinbeck was a very wealthy snob who lived in Manhattan and Sag Harbor, Long Island, and spent most of his time in Europe. He was also a phony. His affinity for the common man, though genuine during his “Grapes of Wrath” days, had eroded away quite a bit. Yes. I am aware if the controversies around the book. I read a New Yorker article that laid it all out. And I point this out in my first entries on the Travels book. I’d love to read your book on this, too! To be sure, my interest is more in how he writes about topics with philosophical resonance. I hope that comes through.